Increase customer loyalty with discounts for those who remain your clients or spend a lot within a definite period of time (a year, 5 years, etc.) Reward clients for large one-time purchases. Reward old-time clients just for staying with you. Reward large-sum spenders and regular spenders. Inform clients about available discounts in their accounts. Loyalty Program for Magento helps storeowners to capitalize on the opportunities provided by this effective marketing strategy. Customer is the top goal for marketers as returning buyers build a foundation for long-term business success. Implementing a rewarding program at their stores, online retailers encourage one-time buyers to stick with their company over time and repeat purchases occasionally. Any loyalty program requires customers to submit some personal information. Thus, it may become a trusted source of data that can be used to get a better understanding of your audience and so make highly personalized and relevant offers to program members. Loyalty programs can act as not only a customer retention tool, but also as a powerful driver of new prospects and buyers. Providing valuable rewards to customers for joining the program, online retailers motivate occasional visitors to become a part of the community too. This fosters new sales and provides for the continuous growth of the customer base. . Provide discounts based on one’s total spending during a time-period (the period is calculated from the date of a specific purchase). Provide discounts based on one’s membership duration. Provide discounts based on average purchase volume. Apply surcharges – either percentage, or fixed amount – based on different criteria. Add a new page for logged-in customers where they can see discounts and coupons available to them. 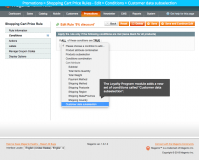 We used Loyalty Program extension to set up shopping cart rules for Aitoc’s Discount Program. 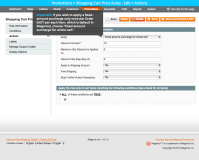 Compatible with Individual Promotions Magento extension. 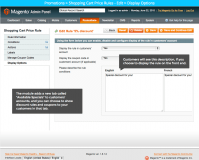 Magento Extra fee extension - Set up an optional service, such as gift wrap, rush order, and charge extra for it! 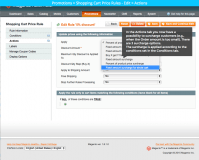 Individual Promotions extension for Magento - Target your customers with personalized offers and deals. 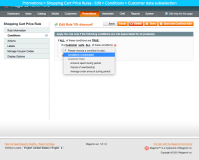 Segment your buyers and subscribers into separate groups and configure specific discount rules for each of them. Gift Registry plugin for Magento - Allow customers to create wish-lists for any occasion, set priorities for items in the list and share them with friends. Buyers can protect registries with a password and track the purchases made. + The extension is compatible with Magento 1.9.2.4 / SSUPEE-7405 v.1.1. * Available Specials block issue in the customer account area is fixed. * Old licensing issue is fixed. * Fixed the issue with surcharge and invoice. 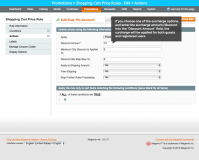 * Error page on submit coupon surcharge is fixed. * Fixed the issue with displaying surcharge in admin panel. * Fixed the issue with "No Coupon" shopping cart price rule. * Fixed the issue with saving price rule. + The extension is compatible with Magento 1.6.2.0. * Fixed the error in shopping cart rules based on Subtotal. + The extension is compatible with Magento 1.6.1.0. * Fixed the issue with incorrect surcharge calculation at PayPal. All extension interfaces are translated into these languages. * Fixed the issue with "Apply to Shipping Amount" option. 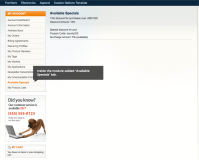 * Fixed the issue with discount label displaying in admin and in the cart. + The extension is compatible with Magento 1.5.0.x. * Fixed the surcharge tax calculation. 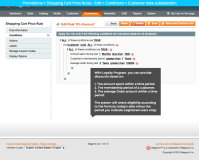 + Adds new page in logged-in Customer’s account where Admin can publish information about coupons available to the Customer based on a set of criteria. This extension solved our problem regarding price adjustments. Their email support to solve an issue has been fantastic: very quick and helpful. We have installed and modify the extension for a client and it works perfectly. The support very fast and good work. I recommend the module and AITOC as good developer.